As some of you know I own a tattoo studio located in the heart of Vancouver’s historic Gastown area. This SUNDAY DECEMBER 7th we are holding our 2nd Annual Art Show Fundraiser. 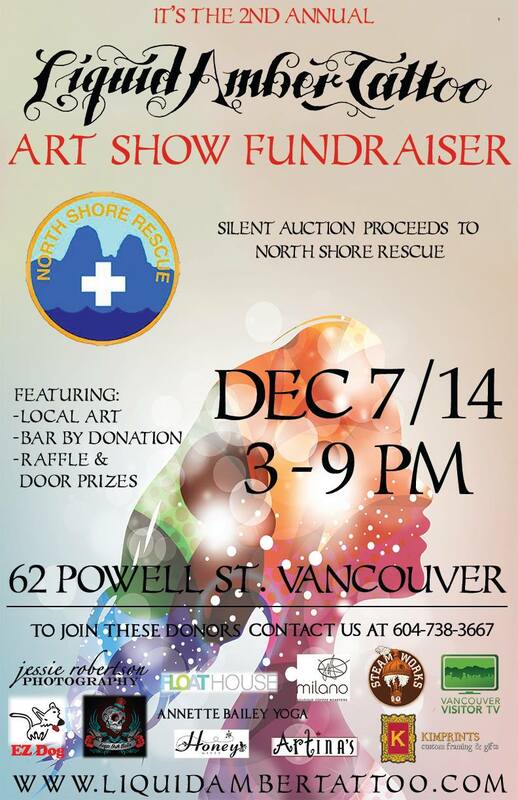 Proceeds go to North Shore Rescue (A volunteer mountain rescue team). Come get your xmas shopping done while supporting this worthy cause. It would be great to see you there! ← Continuum wins 8 Leo Awards!! Woowhoo!